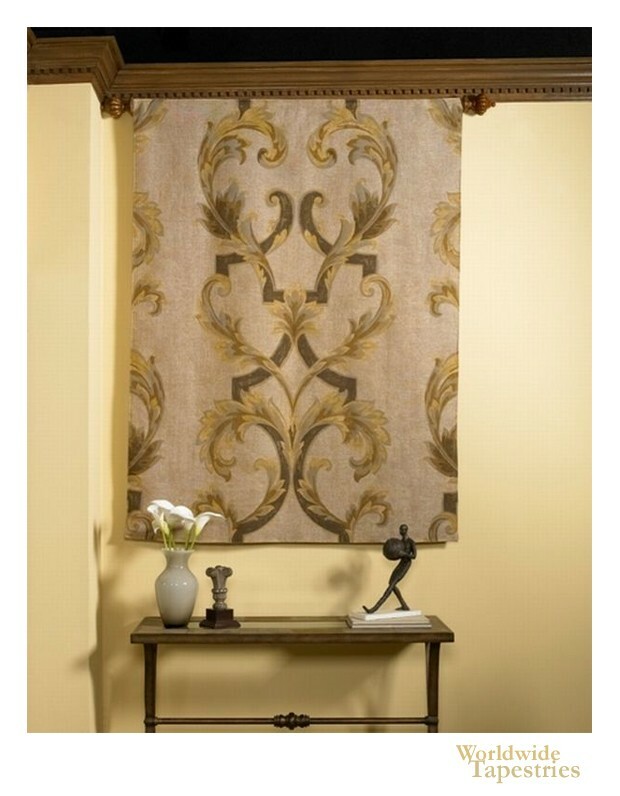 This elegant tapestry "Leaf Brocade" shows a lovely acanthus leaf motif design in greens, golds and olives. The gradation of tone and use of color is cohesive and elegant as we admire the elegance of the shape of the acanthus leaf, so popular in the art works of William Morris. Here we see this motif in a floral and geometric design spiraling upwards. This art tapestry "Leaf Brocade" is backed with a lining and has a rod pocket for easy hanging. Note: tapestry rod, where pictured, are not included in the price. Dimensions: W 43" x H 57"